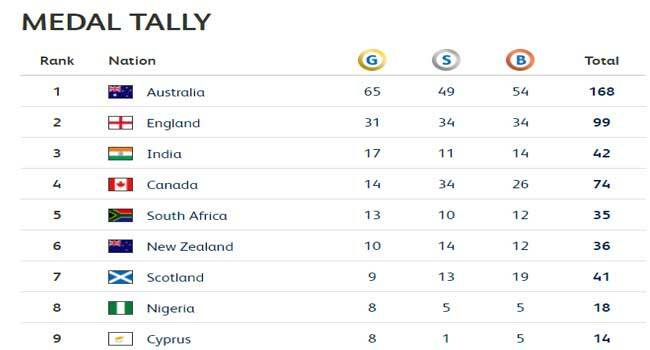 Team Nigeria have increased its medals tally at the ongoing Commonwealth Games in Gold Coast to 18. 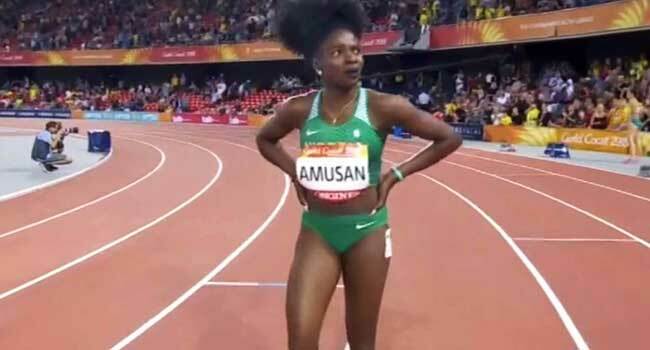 Tobi Amusan on Friday struck gold in the women’s 100m hurdles clocking 12.68 Seconds. This increased Nigeria’s medal haul to eight gold, five silver and five bronze medals. 2014 commonwealth Gold medalist, Odunayo Adekuoroye clinched first gold for the country in the women’s wrestling freestyle 57kg after defeating India’s Pooja Dhanda with a 7-5 victory by points. Para-athlete Suwaibidu Galadima led from the start to finish to win gold in the men’s the men’s T47 100m final with a time of 11.04s. Earlier on Friday, Amas Daniel won bronze coming from 4-0 down to equal it at 4-4 against South Africa’s Terry Van Rensburg, winning bronze in men’s freestyle 65kg.